Steven L. Nartker, CPA APC is committed to developing money-saving tax planning strategies for businesses and individuals. Our San Diego, CA CPA firm takes a proactive approach to tax planning that helps our clients realize significant tax savings. 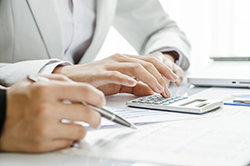 We’re more than accountants; we’re skilled tax specialists with years of experience working with the U.S. tax code. Find out how we can decrease your Federal and State taxes. Call us today at 858-675-1533 to learn more or request a consultation through our website now and we’ll contact you.